in different fields of study for Bachelors. you can apply for , , . 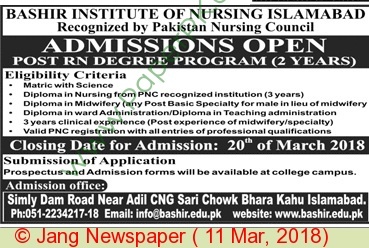 Bashir Institute of Nursing Islamabad is recognized by Pakistan Nursing Council (PNC), prospectus and Admission forms are available at college campus.